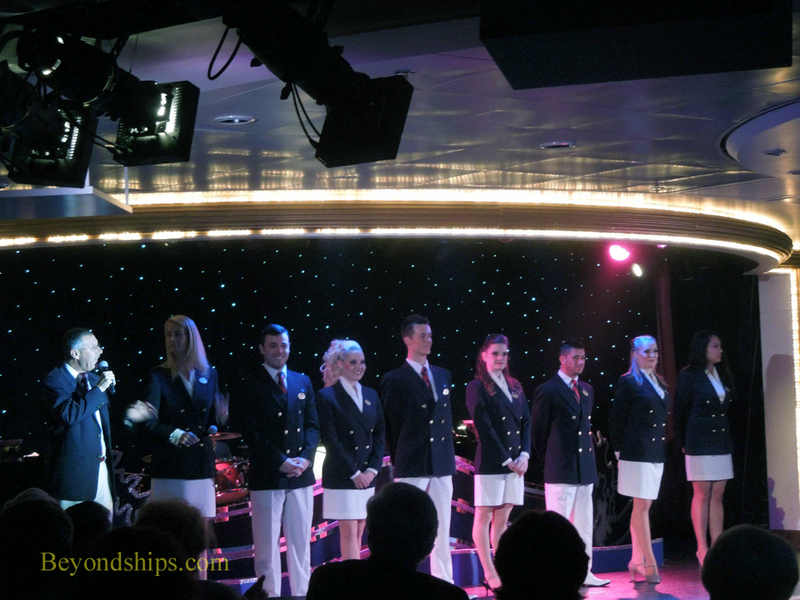 Left: The ship's singers and dancers performing in the Cabaret Lounge. Above: The Activities Staff on Ocean Princess. 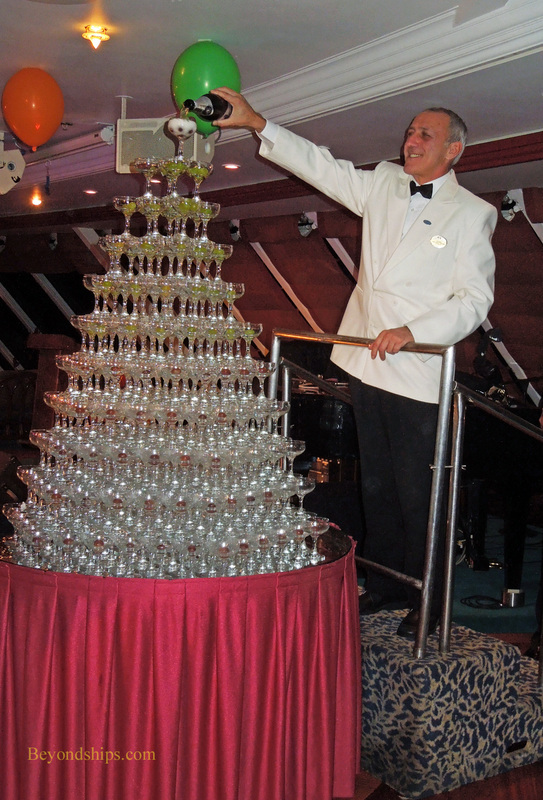 Below: A highlight of any Princess cruise is the Champagne Waterfall.